CLICK HERE to support Peace in Colombia! During peace talks in Havana, Cuba to reach a settlement to the war that has torn Colombia apart for almost 50 years, negotiators weren’t sure whether or not they had the backing of the people. Despite polls that have shown that more than 70% of Colombians support a negotiated settlement, there were, and are, powerful segments that want to see this process fail. 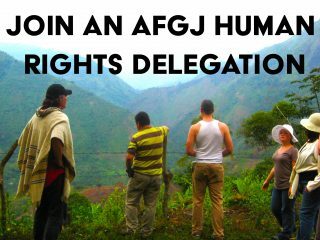 These include the extreme right, led by ex-President Álvaro Uribe, components of the Colombian Armed Forces, and paramilitary goons working as hired hands for certain transnational corporations and big landowners. It was this need to in some way have tangible evidence of popular backing that led to calls for a massive peace march and rally in the capitol city of Bogotá on April 9th. Was the march a success? I was there with my partner, Raquel Mogollón, herself of Colombian heritage and a member of the Alliance for Global Justice Colombia working group (Colombia Watch) and President of the Pan Left Video Collective. We saw feeder marches coming from all directions, the streets in the city center shut down to automobiles and filled with people calling for an end to hostilities. According to the office of Bogotá Mayor Gustavo Petro, there were more than one million marchers. We can attest to the fact based on our own eye-witness observations, with marchers coming from all parts of Colombia. So, to answer the question—yes, the march was a resounding success! The historical significance of the day gave the event a special poignancy. It was the 65th anniversary of the assassination of the popular leader Jorge Eliecer Gaitan. Gaitan was a populist with an enormous following and was certain to be elected the next President of Colombia when he was killed by a gunman in the streets of Bogotá on April 9, 1948. This followed (and continued) a campaign of genocide that had been waged by the Conservative Party against the Liberal Party—Gaitan was a Liberal. His assassination lead to riots known as the “Bogotazo” that paralyzed Bogotá and left the city in shambles. Thus it is fitting that the events of April 9, 2013 should honor this great leader with an outpouring of people calling for peace, a powerful capstone to this historic day. The day began with Pres. Juan Manuel Santos paying homage to soldiers fallen during the war and declaring that the Armed Forces were in favor of peace. Santos wore a shirt during the day’s events that said “Mi aporte es creer, yo creo en la paz”, or, “My contribution is to believe, I believe in the peace.” Granted that many victims of this war might dispute the commitment of the Armed Forces to peace, the participation of Pres. Santos was nevertheless very important. This day was not just a day of the Left demanding peace. Indeed, there were banners of the conservative Unification Party (the “U”) supporting the process, and there was a contingent of supporters of the Colombian police expressing their support. Days before the event, the streets of Bogotá were filled with fliers and signs printed by city agencies in support of the march. While most on the Left in Colombia readily recognize Santos’ roll in the repression and oppression of the Colombian people, they also recognize that his administration is finally participating in the peace process, and they join with all supporters for a negotiated settlement in the absolute rejection of the extreme right attempts to sabotage the process. In fact, at this moment, the brunt of their attacks are directed against Pres. Santos. Former Pres. Uribe has repeatedly attacked Santos and even leaked government documents that provided safe passage to commanders of the Revolutionary Armed Forces of Colombia-People’s Army (FARC-EP) to join negotiators in Havana during this period. There were rumors circulating that some elements of the extreme right were threatening to assassinate Pres. Santos. Fortunately, the march and rally were not marred by any acts of violence. Pres. Santos represents the established Colombian oligarchy, but it must be recognized that he also represents a break with the record of ex-Pres. Uribe, who was little more than a thug. Uribe was at one point listed by the US Defense Intelligence Agency as one of Colombia’s top 100 narco-traffickers, and is credited by many with the creation of the notorious paramilitary organization the AUC (Colombian Auto-Defense). It is widely recognized that a Colombian peace settlement must have not only the backing of the Left, which for years has called for such a process, but also the support of the bourgeoisie. The march and rally showed a wide depth and breadth of support. It is also clear that the largest numbers, in evidence everywhere, were turned out by the Patriotic March (Marcha Patriótica), and the other organizations on the Left, calling for peace with justice. The Patriotic March contingent was lead by former Senator Piedad Córdoba, who more than any one person, has dedicated herself to bringing about these negotiations. Even Pres. Santos has recognized her contributions, having turned to her to act as a liaison between the government and the FARC-EP when the guerrillas have, again and again, unilaterally released prisoners as a sign of their commitment to the peace process. Also participating in great numbers were family and supporters of Colombia’s more than 10,000 political prisoners. It is still hoped that the Colombian government will respond to the FARC-EP’s release of its prisoners with an end to the incarceration of so many thousands due to political motives. The government of the United States bears much responsibility for this situation, having funded and restructured the Colombian prison system, leading to a large increase in the number of political prisoners. This last statement strikes a particular chord with us in the Alliance for Global Justice. 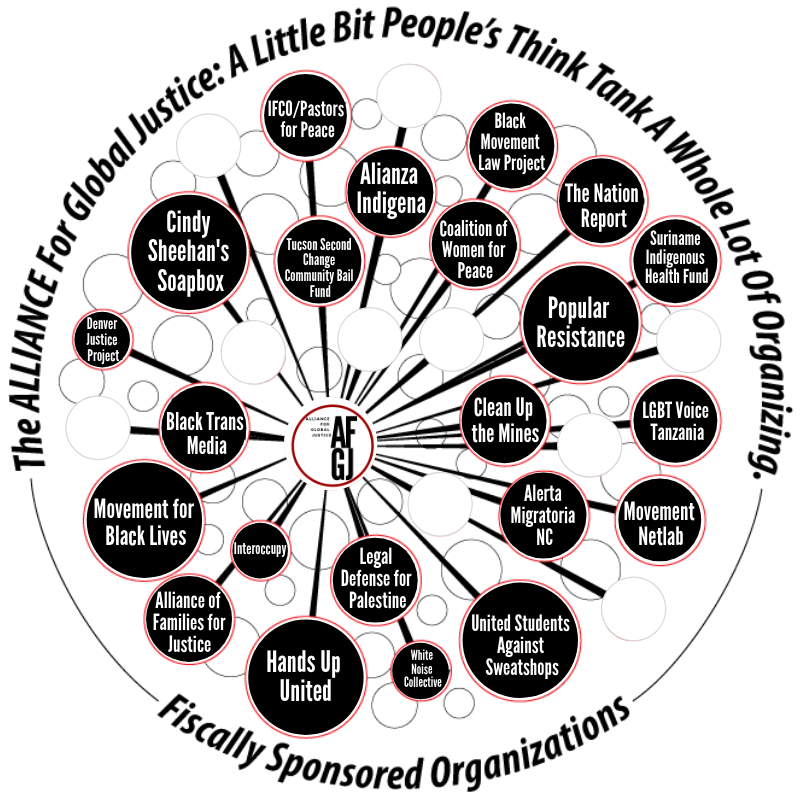 We recognize that one of the strategies of the Solidarity Center (an affiliate of the AFL-CIO that receives over 90% of its funding and direction from the US government) is to give often much-needed support to labor struggles while at the same time, trying to dissuade and divert workers from political struggle. The Solidarity Center maintains an office in Bogotá and has been pouring millions of dollars into efforts to influence the Colombian labor movement. It is vital that we in the United States remember that we have a particular role to play in support of the peace movement in Colombia. Our government has provided $8 billion for Plan Colombia, the main vehicle of war and repression in the country. We must demand an end to such US policies toward Colombia and must call on the White House and Congress to declare their unqualified and strong support for the negotiations. One way in which the US interferes with the peace process and violates Colombian sovereignty is its demands that Colombia extradite members of the FARC-EP and paramilitary prisoners. Colombia’s legal matters are for Colombia to resolve, not for the US positioning itself as some kind of imperialist overlord. But more importantly, the extradition of FARC-EP soldiers interferes directly with the negotiations. Extradition of paramilitary actors interferes with truth-telling and investigations into links between death squads and members of the Colombia’s Congress and executive branch. Of special concern is the case of Ricardo Palmera, one of the FARC-EP’s main negotiators. He was arrested eight years ago while on his way to participate in negotiations sponsored by the United Nations. He is being held in cruel conditions of solitary confinement (one of more than 80,000 US prisoners held under such conditions). His presence has been requested at the talks in Havana, and the US’ continued refusal to allow his participation is a sign that the US is not giving its full support to the hopes of the world for an end to this war. You can support peace in Colombia by going to this link to send a letter to Pres. Barack Obama and the US State Department, calling for the government to take a strong stand in favor of the negotiations, to end the extraditions of Colombian citizens to the US, and to release Ricardo Palmera to participate in the peace process. School children turn out in support for the peace project. Photo by Raquel Mogollón. Beating the drums of peace! Photo by James Jordan. Signs like these appeared all over Bogotá for days before the march and rally. Among the most prominent were those of the Women for Peace. Photo by Raquel Mogollón. Nowhere has the struggle for an end to the violence been stronger than among indigenous communities. Photo by James Jordan. “From our mountains surge the water and the energy that they deny us every day.” There can be no just peace without land reform and the protection of Colombia’s natural resources utilized for the good of the people above the profits of the wealthy and the transnational corporations. Photo by James Jordan. Bearing their torsos for peace! Photo by James Jordan. Pres. Juan Manuel Santos marches with wounded soldiers wearing a shirt that says, “My contribution is to believe, I support the peace”. This is one of several photos that show the support for the peace process extends across political divisions. Photo from MSN Latino. These people are marching in remembrance of the tens of thousands of the “disappeared”, the vast majority victims of aggressions by the Colombian Armed Forces and paramilitary death squads. Photo by James Jordan. One of many contingents of the Patriotic March (Marcha Patriótica). People wearing shirts and identifying themselves with this leading popular mobilization for a just peace were literally everywhere, in all segments. Photo by James Jordan. A contingent of Patriotic March High School students pose with AfGJ’s and Pan Left’s Raquel Mogollón. There banner has at its center Colombia’s hero for peace and leading member of the Patriotic March, Piedad Córdoba, pictured here with Che Guevara and Simón Bolívar–an indication of the high esteem in which she is held. Photo by James Jordan. Supporters of the Colombian police forces march side by side with police in support of the peace process–yet more evidence of how broad support for the negotiations has become. Photo by James Jordan. Even the right wing “La U” party founded by ex-Pres. Álvaro Uribe (who is actively trying to sabotage the peace process) and including current Pres. Santos showed its support for the negotiations. Take that Álvaro! The people want peace–ALL the people! Photo by James Jordan. One of many contingents representing Afro-Colombians. Photo by James Jordan. Marchers demanding freedom and justice for political prisoners were everywhere! This sign has special relevance for us in the US, demanding an end of the extraditions of Colombians–the extraditions being to US prisons and constituting a direct interference in the peace process. Photo by James Jordan. “While there are political prisoners, there will be no peace.” Colombia has more political prisoners than any country in the Americas–more than 10,000. Most of these are concentrated in jails that have been restructured and funded by the US government. Photo by James Jordan. A contingent of members of the CUT labor union confederation, these unionists know full well that labor rights are inextricably linked with political struggle. Workers of the world, unite to support peace and justice in Colombia! Photo by James Jordan. This member of the Federation of University Students (FEU) remembers the victims of Chiquita Banana, which over a period of decades supported massacres and paramilitary squads in efforts to crush union organizers and intimidate workers. Photo by Raquel Mogollón. Members of the Federation of University Students (FEU) arrive together in support the cause of peace with justice! Photo by James Jordan. In the streets, from the bridges, and on the speakers’ stage, the Patriotic March was everywhere demanding not just peace, but peace with justice! Photo by James Jordan. Peace and democracy in Colombia is completely linked to peace and democracy in Venezuela. This colorful arrangement was at the foot of the speakers’ stage and portrays three heroes of the struggle for peace and justice, Hugo Chávez, Jorge Eliecer Gaitan and Piedad Córdoba. Photo by James Jordan. The reason for the season: Colombia remember Jorge Eliecer Gaitan, the great populist leader. This march for peace and justice was a fitting tribute to this man and his vision, occurring on the 65th anniversary of his assassination. Photo by James Jordan. “To arm or to love?” It was clear the prevailing choice of the more than 1 million persons marching for peace in the streets of Bogotá. Photo by James Jordan.